Butter a 9-inch springform pan—choose one that has high sides. Mine is square. Stir the crumbs, sugar and salt together in a medium bowl. Pour over the melted butter and stir until all of the dry ingredients are uniformly moist. Turn the ingredients into the buttered springform pan and use your fingers to pat an even layer of crumbs along the bottom of the pan and about halfway up the sides. Don’t worry if the sides are not perfectly even or if the crumbs reach above or below the midway mark on the sides. Center a rack in the oven, preheat the oven to 350°F and place the springform on a baking sheet. Bake for 10 minutes. Working in a stand mixer, preferably fitted with a paddle attachment, or with a hand mixer in a large bowl, beat the cream cheese at medium speed until it is soft and truly creamy, about 5 minutes. With the mixer running, add the sugar and salt and continue to beat another 4 minutes or so, until the cream cheese is light. Beat in the vanilla and blackberry extract. Add the eggs one by one, beating for a full minute after each addition. Reduce the mixer speed to low and stir in the sour cream and/or heavy cream. Give the batter a few stirs with a rubber spatula, just to make sure that nothing has been left unmixed at the bottom of the bowl, and scrape the batter into the springform pan. Bake the cheesecake for 1 hour and 30 minutes, at which point the top will be browned (and perhaps cracked) and may have risen just a little above the rim of the pan. Turn off the oven’s heat and open the door a crack. Allow the cheesecake to sit for another hour. After 1 hour, carefully remove from the oven and leet the cheesecake come to room temperature on a cooling rack. Run a knife around the edge of the pan to loosen sides. When the cake is cool, cover the top lightly and chill the cake for at least 6-8 hours, although overnight would be better. Remove springform sides. The easiest way to cut cheesecake is to use a long, thin knife that has been run under hot water and lightly wiped. Keep warming the knife as you cut slices of the cake. Wrapped well, the cake will keep for up to 1 week in the refrigerator or for up to 2 months in the freezer. It’s best to defrost the still-wrapped cheesecake overnight in the refrigerator. GOOD MORNING EVERYONE! Tamy here filling in. I hope you enjoy this Apple crisp. It’s simple and simply delicious!!! 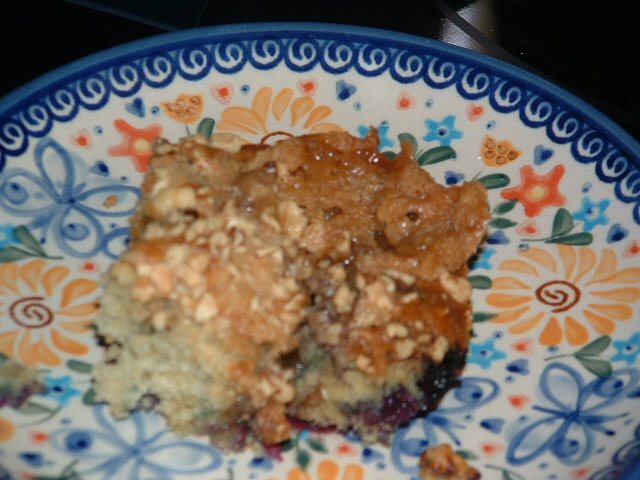 I’m so happy to be guest posting for Our Krazy Kitchen and Save Room for Dessert. Dessert I believe is very necessary in life. A mouthful of a luscious dessert is a little treat which can make a meal memorable. Alternatively a sweet pick-you-up in the mid afternoon with a cup of tea is a tradition I grew up with in England and happily continue to this day! I hope you enjoy this apple and almond cake, it’s a lovely flavor combination and tastes just as good the next day – if it lasts that long. Cream the butter, sugar and orange zest together until really light and creamy. Add the eggs, one at a time, scape the bowl down after each addition. Beat well. Peel and chop the apples, rub with lemon juice to stop the apples turning brown. Set aside. Combine the sour cream and orange juice in a measuring jug. Combine the flour, ground almonds, cinnamon, allspice, salt, baking powder and baking soda in another bowl. Pour half the flour mixture into the butter mixture and gently combine. Add the sour cream mixture, combine but do not over mix. Add the rest of the flour mixture and gently combine. Toss half the apple slices in a teaspoon of flour and fold into the batter. Pour the mixture into a greased, 11 inch springform pan. Arrange the rest of the apples in a pattern on the top. Scatter the sliced almonds and a tablespoon of sugar on top. Bake for 50 minutes to an hour. The cake is done when risen and golden and a wooden tooth pick inserted comes out clean. Cool in the pan for 10 minutes or so, then remove and cool on a cooking rack. Dust with confectioner’s sugar before serving and a dollop of whipped cream. Cut pears in half lengthwise and, using a melon baller or spoon, scoop out the cores. Rub them all over with the lemon half to prevent browning. In a large (10-inch), heavy-based, ovenproof skillet, melt the butter over medium-low heat. Add the sugar and brown sugar and stir to dissolve. Arrange the pears in the pan, cut side down, in a single layer. Bake the pears uncovered, basting occasionally with the liquid in the pan, until they begin to soften and color slightly. 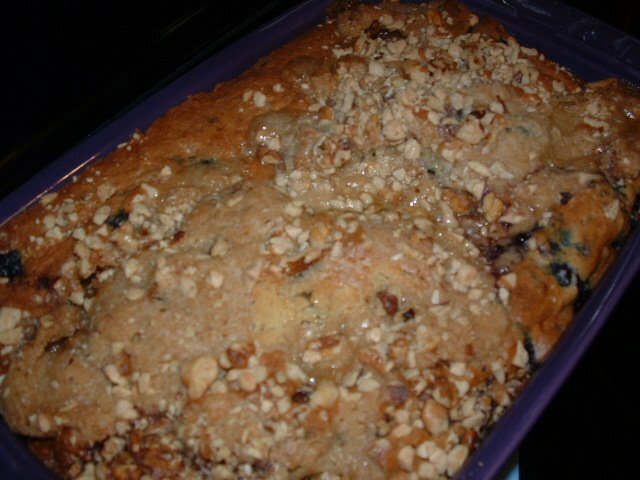 Depending on the pears’ ripeness, baking time can range from 20 minutes to 1 hour (mine only took about 25 minutes). Remove the pears with a slotted spoon and set aside. Transfer the pan to a burner and boil the mixture left behind over medium-high heat until it reaches a rich, golden-brown color and smells like caramel, 2 to 5 minutes. Slowly whisk the cream into the caramel until smooth. Add the vanilla, salt, and Scotch, if using. Serve the sauce over the warm pears. In a large bowl, combine the flour, baking soda, and salt. Whisk to combine and set aside until later. Beat the cream cheese and the butter on medium speed until creamy and light, should take about 2 minutes. Add the brown sugar and then mix well. Scrape down the sides of the bowl as needed and add the egg and vanilla. Beat on medium speed for 1 minute. Slowly, add the flour mixture a little at a time, until well combined. Fold in white chocolate chips and macadamia nuts. I suggest placing the dough in the freezer or refrigerator for a few hours. In my experience the cookies come out better. But, this step isn’t necessary. Roll dough into walnut size balls then place on a greased cookie sheet. Place bananas on a jelly-roll pan covered with parchment paper. Remove 2 bananas; cool completely. Peel and cut into 1/2-inch-thick slices. Bake the remaining 3 bananas at 350° for an additional 20 minutes. Carefully peel and place the 3 bananas in a small bowl, and mash with a fork until smooth. *The original recipe calls for 3 sliced bananas and 2 mashed bananas. If you want more banana pieces in your pudding you may want to do this. Combine half-n-half and 1/3 cup sugar in a saucepan over medium-high heat. Bring to a simmer (do not boil). Combine remaining 1/3 cup sugar, cornstarch, salt, and eggs in a medium bowl; stir well with a whisk. Slowly add hot half-n-half mixture to sugar mixture, stirring constantly with a whisk. It’s very important that you mix these together very slowly and stir constantly. If the hot mixture is added too quickly it can cook the eggs! So take it slow and don’t stop whisking! Return this combined mixture to pan. Cook over medium heat until thick and bubbly (about 3 minutes), stirring constantly. Remove from heat. Add mashed bananas, butter, and vanilla, stirring until butter melts. Place pan in a large ice-filled bowl for 15 minutes or until mixture comes to room temperature, stirring occasionally. If you don’t have a large enough bowl, fill the bottom of your sink with ice. Fold half of whipped topping into pudding. Spread 1/2 of the custard evenly over the bottom of an 8x 8-inch baking dish. Top evenly with vanilla wafers and half of the banana slices. Spoon remaining custard over banana slices. Repeat procedure with vanilla wafers, banana slices. Spread remaining half of whipped topping evenly over top. Crush several wafers; sprinkle over top of whipped topping. Refrigerate for 1 hour or until chilled. Mix the first four ingredients together. The mixture will be very firm. Form into desired shape (I formed mine into an oval shape). Place on cookie sheet and cover with plastic wrap. Melt chocolate chips in the microwave on 10 second intervals in a microwave safe bowl. Dip coconut bars into melted chocolate. After covering each bar with chocolate I placed them on the end of a fork and tapped them on the side of the bowl to remove the excess chocolate. Place each bar on wax paper and allow chocolate to harden. I got 25 candy bars out of this mixture.